Many people I have met that are “pro-organic” seem like food fanatics. I could envision most of them standing on a street corner with a sign shouting at the passing cars. This left me in a bit of a daze and I felt guilty for the food I was buying and feeding my kids. I do not doubt that pesticides have a huge impact on our health. I see how cancer has affected each life. If you do not have cancer, you know someone who has or has had cancer. I can’t help but see how we have drastically changed our habits of how we grow and eat food in our world and see that link to rising rates of illness and cancers. This is disturbing, but I also know I have a limited amount of control in that area. So, what can I do to help organic farmers? How can we have a balance as a family? The longing to use organic produce is part of the reason we have been gleaning at a Nash’s, a local farm, that chooses to grow organically. Most of the produce we glean goes to a local mental health facility and some comes home with us. We got involved with a program that was already actively gleaning on a weekly basis. The farmer tells us the specific area and produce to glean from and we harvest those areas. 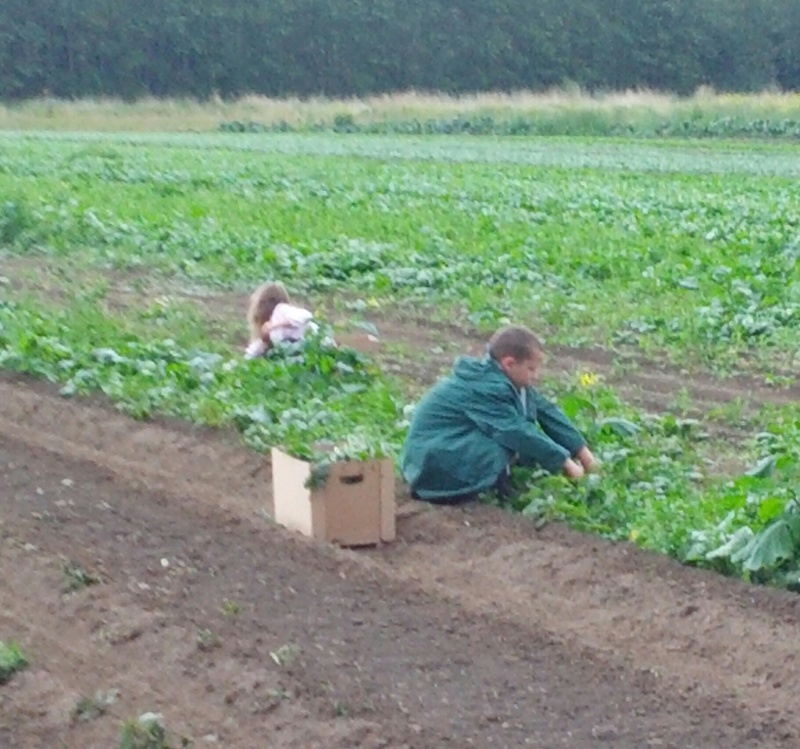 We have also spent time weeding in the fields or helping harvest potatoes in exchange for their amazing produce and flour. If there is not a local gleaning program in your county then call a local farmer and ask if you can work in exchange for produce. You can ask if you would be able to glean from their fields in areas that they have already harvested from or in areas they specify that are past their harvesting for market time. If you also use this produce to support a local place in need, such as the food bank, then they know their contribution is going to help a wider circle of people. 3. Buy from local farms. This can be done directly or thorough your local farmers market. Many farms do grow organic. However, It costs quite a lot for a farm to be certified organic and most small farms do not have the income for the official label. ASK questions! Farmers are willing to share their processes of growing foods. We grew a garden this year and I have to admit that if it wasn’t for our WONDERFUL harvest of green beans and sugar snap peas it would have been a dismal failure. BUT after you take away what we ate directly I prepped and froze 5 gallons of blanched and cut beans. I was ecstatic!. You don’t need a big space to garden. Planter and Vertical Gardening is a wonderful tool for growing food with little space. 5. 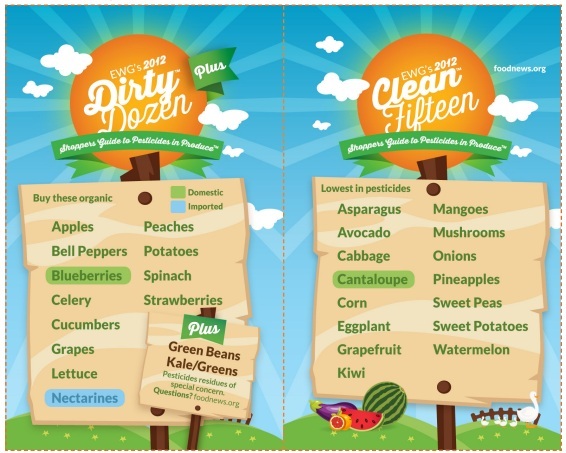 Buy from the Clean Fifteen list and Buy organic if the item is on the Dirty Dozen list. Buying organic also supports your farms. Just recently a friend of mine has been struggling with the same debate so I went to find this list of foods. I had seen it before but forgot what was on it. I printed the picture above and have it in my wallet for easy reference. I hope this is helpful to you if you are trying to find a balance in your home also. If you have ways to save money on organic produce or have a strategy not mentioned I would LOVE for you to comment in the notes. Off I go to make pumpkin puree to freeze 🙂 I have been procrastinating….